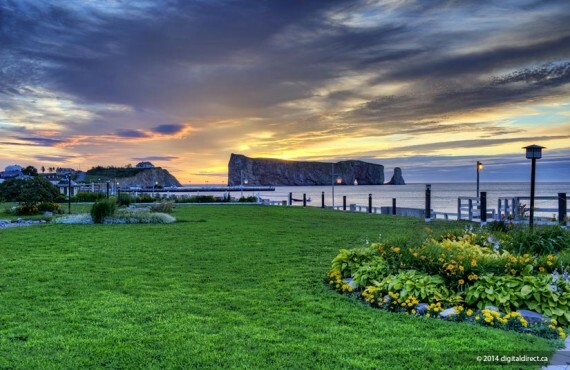 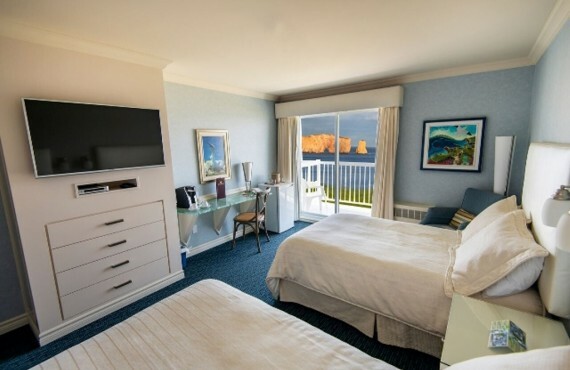 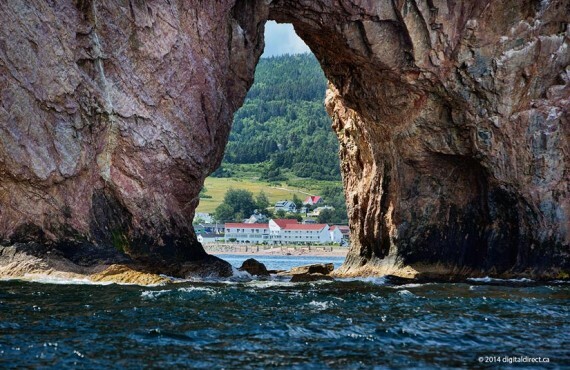 Hotel la Normandie is located right on the beachfront in the heart of Percé village, just a short walk from the Percé wharf. 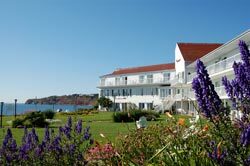 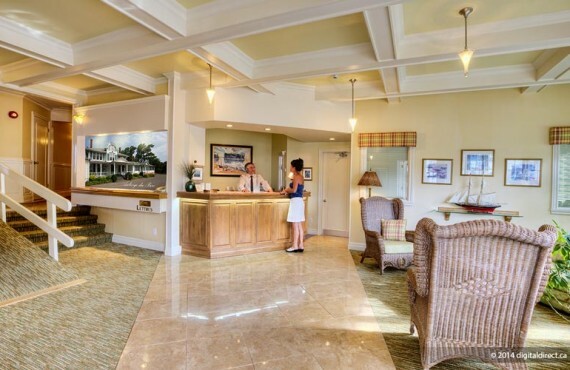 This large, modern-looking hotel has two rectangular wings that are directly facing the ocean. 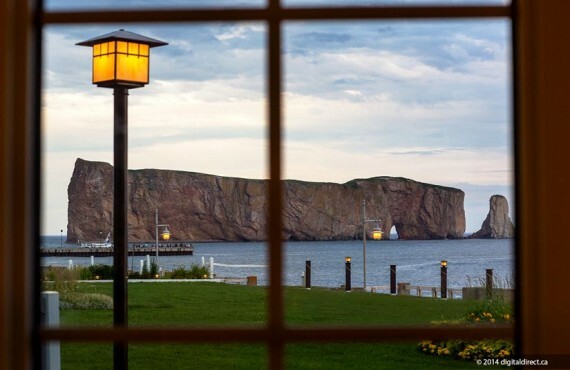 Its unique and enviable vantage point from which to admire the famous Rocher Percé make it a popular tourist destination. 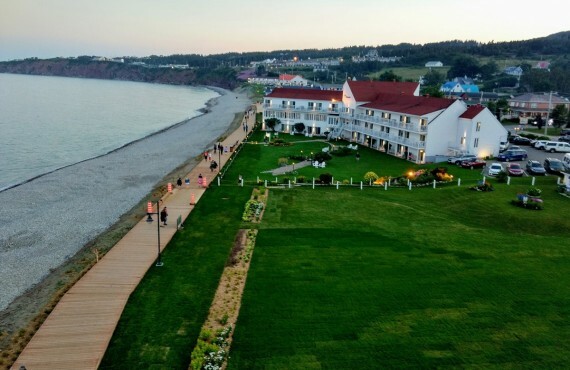 As night falls, and you relax in the hotel garden or on your balcony, there is no more exquisite pleasure than sipping a cocktail while breathing the salty air wafting in on the ocean breeze. 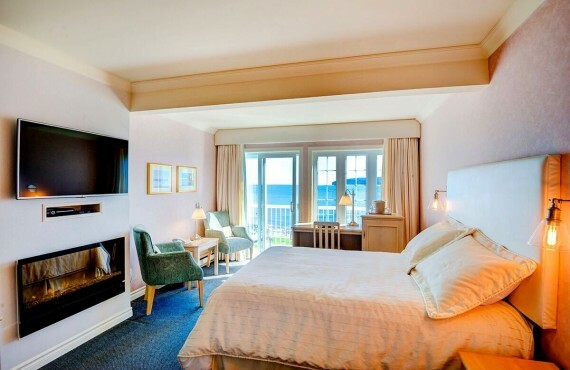 These are the moments that vacations are made of! 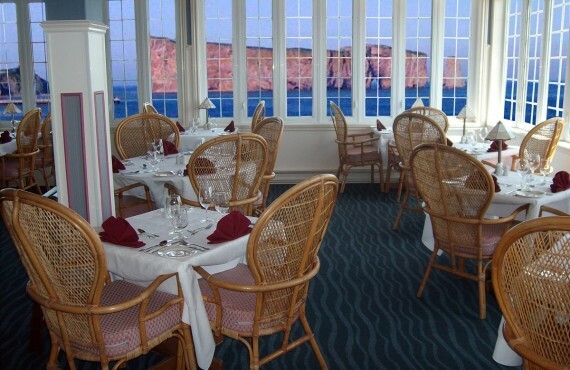 At dinner time, guests have the chance to discover the final attraction of this charming establishment: its fine cuisine. 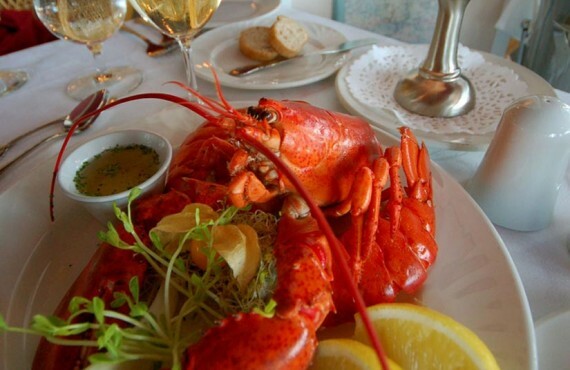 The chef brings a regional feel to classic gourmet restaurant fare. 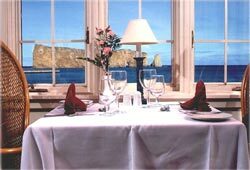 A pleasure for the eyes as well as the palate in a quiet atmosphere with a magnificent décor!